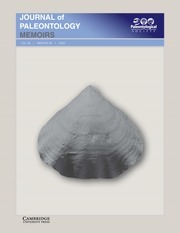 The Journal of Paleontology publishes original articles and notes on the systematics, phylogeny, paleoecology, paleogeography, and evolution of fossil organisms. It emphasizes specimen-based research and features high quality illustrations. All taxonomic groups are treated, including invertebrates, microfossils, plants, vertebrates, and ichnofossils.